So as many of you know the Squedge is one of the most amazing tools my mother has created. With wedges you end up with a circle and then you have to frame it so you can make a quilt. But with the Squedge you have the frame built in but with all the amazing possibilities of a wedge! Our little catch phrase "a Wedge + a Square = a Squedge" so clever! This Spring we have taken the time to explore what we can do with the Squedge. Taking it along new paths with the help of some friends Karla Schulz and Becky Panariso. Two new patterns were born! Court Jester 15 uses the Squedge 15. The stunning results come from mixing the Squedge blocks with solid. 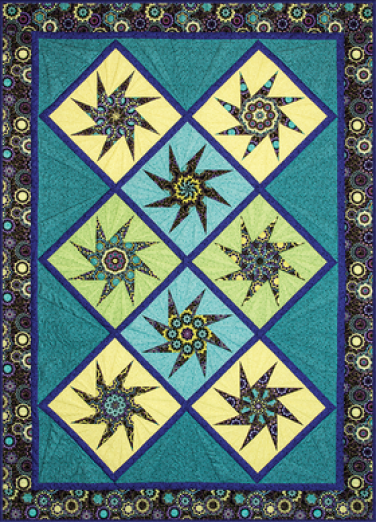 Amazing areas for quilting and simple construction that is perfect for beginners as well as advanced quilters. The sample quilts speak volumes!! Check the full product page and samples. Becky Panariso and I created Star Crossed 18. It was so much fun to get to be part of this fun pattern. 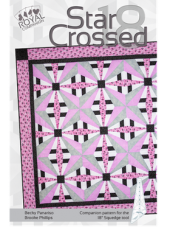 More advanced than Court Jester, Star Crossed utilizes strip set construction to add a crossed look to the simple star shape. 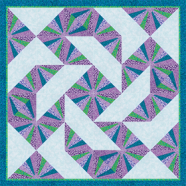 With any other tool this would be difficult to achieve or paper piecing might have to be considered but with the Squedge this quilt is doable in half the time!! So break out your Squedge 18 and buy this pattern for sure! And finally the Squedge family would like to introduce the newest member, the Squedge 45! This big daddy of them all uses only eight Squedge pieces to make this spinning design! Talk about quickly having results in your hands!! 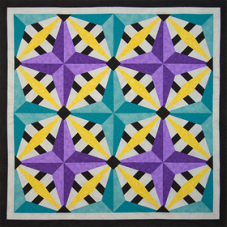 With full instruction on how to make this quilt including fussy cutting technique instructions, this Squedge is worth every penny! So what is in store for Phillips Fiber Art now? Well its time to take the family of Squedges in as many directions as possible!! Now we start showing you how they mix and match together! We started this out a few days ago with our newest free pattern, 4th of July Squedge! Download it today!! It uses the Squedge 15 and Squege 30! Its so much fun to find all the new designs possible. Stay tuned for more, much more as we crank out all these new designs!